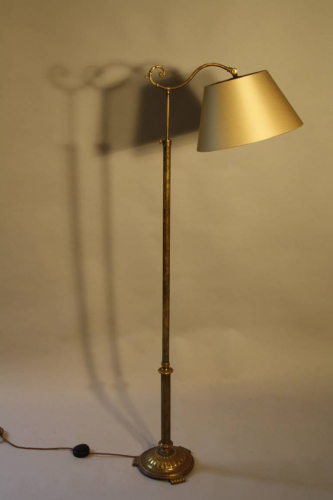 A good sturdy Victorian brass floor lamp. The shade can be angled accordingly as well as the height to the position required. The brass has dulled over time but has a good patina. The shade has been recovered but is the original frame and the lamp is fully PAT tested and certified for UK use.